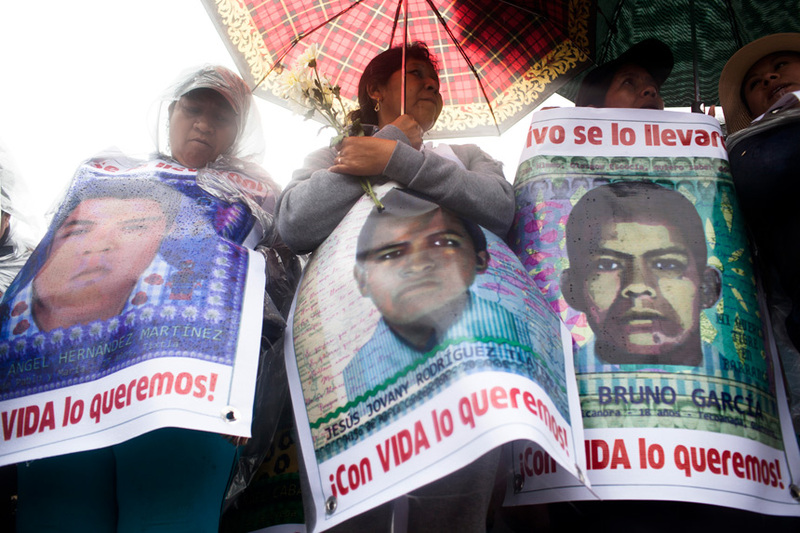 In November 2014, Mexico was reeling from what has become the symbol of its burgeoning human rights crisis: the disappearance of 43 students from a small town in Guerrero. Incredulous, angry, moved, and determined, civil society groups discussed the government’s negligent inability to put together a serious investigation that would uncover what happened and examine the roles of organized crime, state authorities, the police, and the military. When leaders of human rights groups gathered that month, it marked a turning point for MacArthur’s criminal justice and human rights grantmaking. We began to focus our support on just one stage of the entire penal process: investigation. During this phase, victims and the accused are most vulnerable to human rights violations such as torture, forced confessions, arbitrary detention, and disappearance. Faulty and negligent investigations make the right to justice a distant dream. If investigations could improve, then measurable and incremental progress could be documented to determine whether the system was becoming better equipped to resolve and prevent violations. In 2016, a growing cohort of organizations began to concentrate efforts on the transformation of the Attorney General’s Office to a promising new agency, the National Prosecutor’s Office (NPO). Autonomy, they argued, along with a sound institutional design, professional training, reinforced forensic services, and a thorough criminal prosecution strategy, would better position the NPO to conduct investigations, and combat impunity and human rights violations. Their arguments resonated with citizens tired of unabashed impunity and the dismal security situation that has led to the disappearance of over 37,000 people and rising homicide. Over the last three years, these civil society groups drew on experiences from other countries and Mexican states. They drafted technical documents; provided platforms for the participation of victims; wrote reports, provided analysis, and litigated cases; created a working group for strengthening forensic services; and collectively promoted independence, technical professionalism, and improved inter- and intra-agency coordination. They also successfully advocated for the creation of a specialized unit for human rights violations that would include contextual analysis to better understand patterns of criminal activity and prevent violations. While January’s process for the designation of the first Prosecutor fell short of their demands – the agency is neither autonomous nor independent – their actions have raised public expectations for the NPO, catalyzed similar processes of scrutiny in several states, demonstrated the strength of collective action, and signaled a civil society that refuses to be complacent or co-opted. They and others will continue to actively monitor and demand accountability of the premiere institution responsible for combatting impunity and corruption as it begins its work this year. Civil society groups are needed if Mexican society and government are to address our multifaceted and complex human rights crisis. Civil society groups are needed if Mexican society and government are to address our multifaceted and complex human rights crisis. The new government has simultaneously offered some reasons for hope and undertaken some actions that cause concern. At the same time, recent resolutions from international courts and human rights bodies (Atenco, Alvarado, Lydia Cacho) have confirmed the evidence and arguments of human rights advocates and lawyers against the Mexican state and in favor of the victims. Cooperation between civil society and government in northern states led to the recent identification of remains, allowing some families of the disappeared to come to closure. These examples and the broad citizen participation in #FiscaliaQueSirva and #SeguridadSinGuerra are indications of the effectiveness of the persistent work of those who insist that the state must do better to protect and guarantee human rights. As our human rights programming comes to a close over the next two years, the work of these organizations and their allies continues to be ever important to the country’s social and political health and to the fight against impunity and for rule of law, equality, and justice. Our final phase of funding seeks to support their innovative and powerful efforts toward justice for the victims of human rights violations and to provide institutional strengthening support. We will also determine how best to help deepen, diversify, and broaden civil society at the state level through a special fund that will operate independent of MacArthur and after our office closes. It has been a great honor for us to support and accompany Mexican human rights organizations over the years. Our final grants will seek, as always, to advance and honor our shared values, their resolve and effectiveness, and the place they have earned as defenders of the most basic human rights for all.